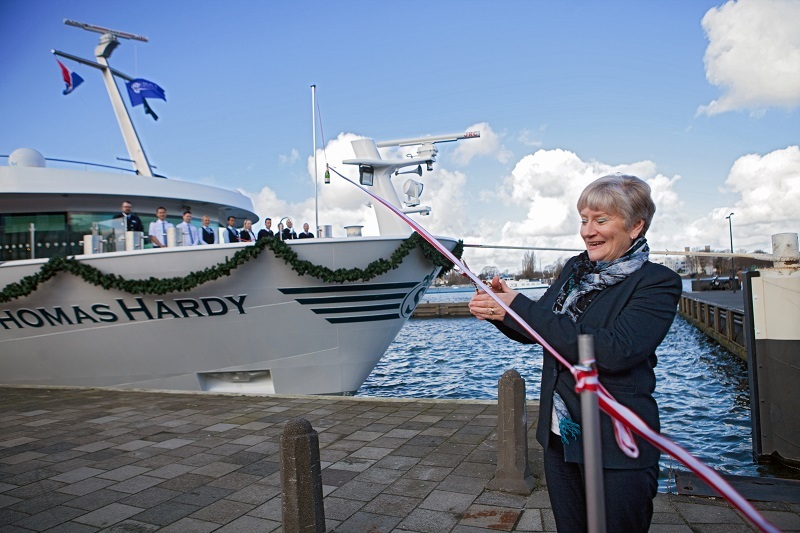 It is a rare occasion that two vessels are christened at the same time. 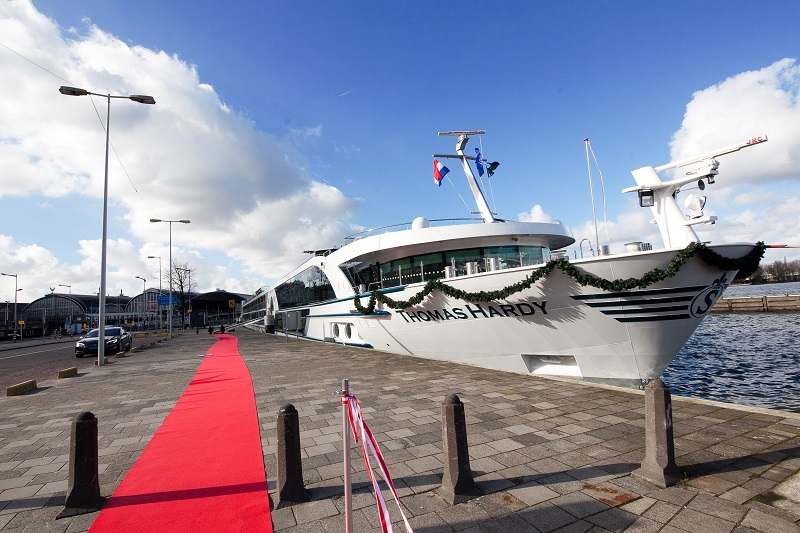 The construction of the Thomas Hardy was already completed in November, but the christening was delayed until the start of the cruise season. Both vessels are 135 metres long and have everything on board to provide passengers with luxury facilities, including a wellness centre, fitness area and rooms with balconies. There is room for 176 passengers on board. The two vessels have been named after famous English writers, as passengers will be mainly from the United Kingdom. Traditionally, the captains of the vessels are presented with the key to the city of Amsterdam. The godmothers of the two vessels, Christina Astill for MS Emily Brontë and Tracey Scales for MS Thomas Hardy, will be performing the official christening acts. The two women were chosen in a unique godmother competition amongst travel agents in the United Kingdom. At the end of March the two vessels will start their first cruise season. The Emily Brontë will be mainly used in the Rhine delta. The Thomas Hardy will mainly sail on the Danube.